Saint John's Wort - Hypericum perforatum. 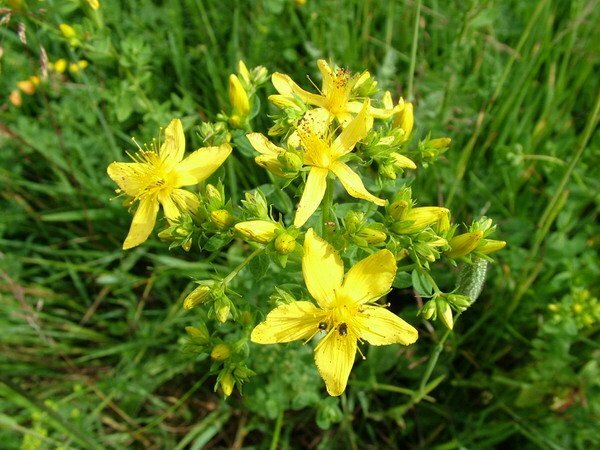 Saint John's Wort, so-called because it is traditionally harvested on St. John's Day, is a striking perennial herb indigenous to Europe. 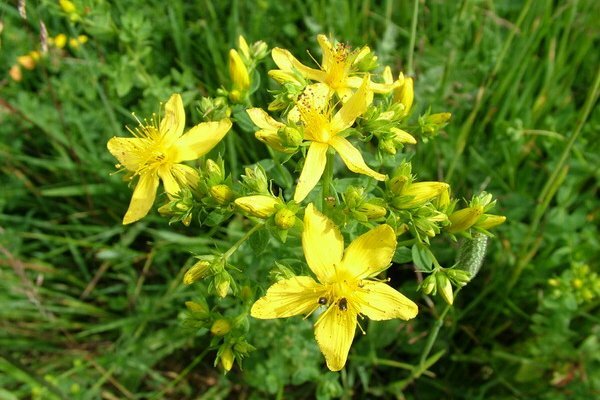 It is one of the most popular medicinal herbs in the United States with its primary use being to balance the mood.